Not only has Robert Pattinson been awarded several accolades for his acting, the British star is also a talented music. The 24-year-old likes to play the guitar in his spare time and has a great singing voice. He was featured on the first “Twilight” soundtrack and will showcase his vocal talent on the upcoming “Breaking Dawn” soundtrack. Despite his artistic talents the star did admit after filming baseball scenes for the first “Twilight” film that he was no good at sports. Speaking about shooting the baseball scenes he said: "It was very embarrassing. I'm terrible at baseball. I'm terrible at every sport apart from running. I'm terrible at that now, too!" 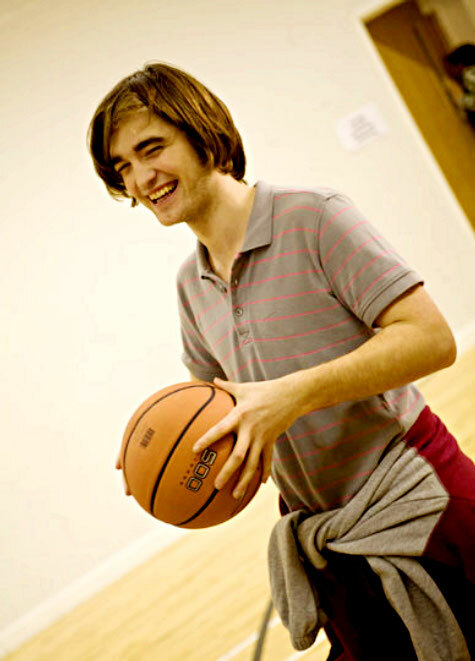 The “Twlight” star demonstrated just how clumsy he is when it comes to sports in his 2009 film “How to be”. I don’t think NBA will be recruiting him just yet!